But, here is the thing….Africa is not a country. Africa is a continent with 54 countries. The people within the continent of Africa don’t speak African. There are over 2,000 languages spoken in the continent of Africa. Nigeria alone has 200 languages that are spoken within its country. Africa is not one gigantic forest with millions of people living in huts. They have forests, savannas and thriving metropolis and industries because Africa is composed of numerous cultures. I am saying that Africa does not have a homogeneous society or culture. When you say, “This is what they did in Africa” what part of Africa are talking about? Are you talking about the East, West, North or South of Africa? Which ethnic group are you speaking of that they did this? When they “did this in Africa” when did they do it and why did they do it? What was the purpose? Did “They do it” a million years ago, a thousand years ago, a hundred years ago or are they doing it now? You get where I am going with this? Stop using “Africa” like the bible and the Koran to justify your silliness. When will people understand that what they did in Africa does not mean it is going to work over here. Just like what we do over here is not going to necessarily work over there. What works in Africa works in Africa but that doesn’t mean it is going to work here. 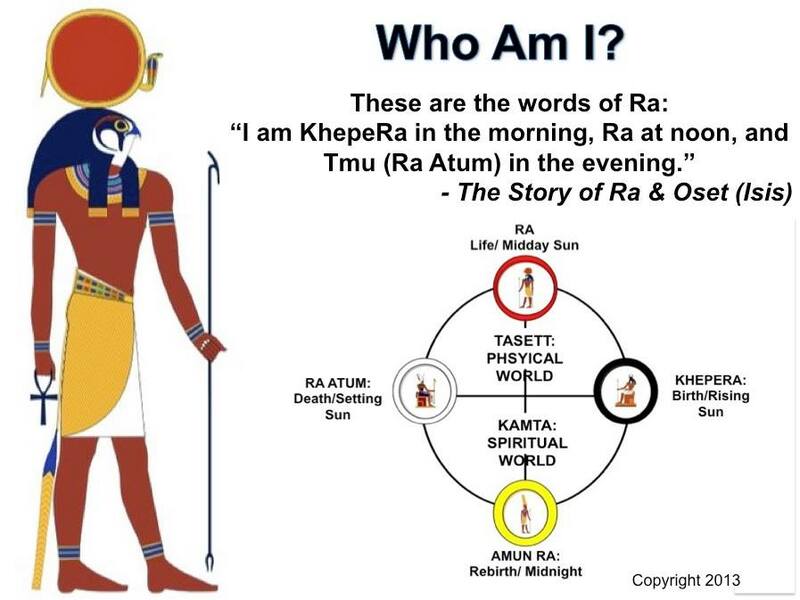 This is what I keep trying to get Family to understand about Kemet. The Kemetic people never had to deal with systemic racism, capitalism, socialism, etc. The Kemetic people lived in an agrarian kingdom with a relatively loving ruling class who cared about all of her citizens within her border. Prior to the advent of the slave trade and imperialism, the Akans, Fons, Yoruba, Ibo, Bantu-Kongo and various other ethnic groups did not live in a society that discriminated against people because of the color of their skin. If you offended the Ancestors, the Deified Ancestors and disrupted the order of the community, then that’s when the elders took you to the side and reeducated you and everyone to correct the error in our living. It was a spiritual culture and this is what it means to live in a spiritual, holistic culture, but we do not live there anymore. This is the reason when the Africans were brought to the Americas, their religions, spiritual practices and spiritual traditions could not survive unless they became more aggressive and defensive. In other words, the spiritual practices and traditions had to adapt to the new circumstances in order to be useful. This “It was done in Africa” mantra is a Setian (Egotistical) approach to fixing problems. If you will recall, our Set (lower self/ego) relies on past experiences and only believes in the physical reality. In other words, it only sees one side of the picture. It does not see the whole, so it discourages us from aligning with our Higher Self or Osar. One of the ways it does this is by telling us “This is what was done in Africa (or China, India, etc. )” to get us to focus on the past or past experience because Set is stubborn and does not want to change but we have to realize that Maa is about living truth based upon perspective. Let me give you another example. If you have ever eaten the Ghanian dish fufu (coco yam) or the Nigeria cuisine gari (cassava/yucca) you know that these are two of the main starches that are consumed throughout the West and Central Africa. I love eating fufu and gari but I cannot eat these dishes all of the time as it is done in parts of Africa for several reasons. For one, I live in the United States and I am not as active as many who eat these foods as a staple of their diet. Second, they are high in carbohydrates, which means if I am not very active these foods may cause my body to store additional sugar/fat. Now, notice that I did not say that these foods were bad. In fact, they are more nutritious than the regular potato but it is because of my lifestyle and the environment that I live in, which makes consuming these foods all of the time a problem for me. Again, does this mean that I should not eat coco yam or cassava even though they were consumed in Africa? No, it simply means that if I am going to eat them I need to make adjustments to my lifestyle or limit my consumption of them. This is what it means to live according to Maa by taking everything in perspective. It is not Maa to live your life based upon an outdated practices and traditions. Presently as I write this, I know guy right now who is from Ghana having the hardest time trying to succeed socially because he is still doing things as if he was in Accra. This guy has upset a lot of people he has come in contact with because he tells them he is proud that the “British colonized the world.” He literally believes that the British saved humanity through their savage ways, so when he said it aloud and was verbally accosted he did not understand why. Clearly, this guy does not see the whole picture and only believes what the imperialists have told him in the history books. Now, another reason for mentioning this guy is to show that everyone from Africa is not “conscious.” Just like everyone who wears their hair natural, in braids, in dreads, etc. is not “conscious” either. We need to stop repeating this mantra because all it does is make us focus on what was written in a book or some other superficiality. If we stopped saying, “This is what they did in Africa” and just say, “Hey, I did it.” It is more convincing and let’s people see the Maa. The Maa is not about trying to see how many people will follow you. It is opening peoples’ eye so that we can change the “rotation of the planet.” Stop giving in and encouraging people to follow their Set. Remember, Set wants us to do anything and everything but listen and follow our Osar (Higher Self). Set will say anything and everything to keep us from hearing our Osar by telling us what we are doing is wrong, not supported by others, not favored by the majority, not the popular thing, etc. Living your life according to Maa means trusting the God within you and testing the suggestions that are given to you. Yes, you have to test it because remember the old scripture “every spirit is not a spirit of God (spirit of the Higher Self).” So, you have to test it and try it out to make sure it is the truth that is best for you and that it is coming from your Higher Self and not your lower self and some other low influences (negative ancestral spirits or aapepu). And, by the way, testing and trying it out does not just mean seeing if the information is in a book. You have to try it, test it out, see if it works for you and if it works for others. This is the only way to know that a suggestion, comment, etc. is coming from the Higher Self. So if a person claims to have your best interest at heart and state that their information is truth. You can test it to see if it is Maa and that individual should not have a problem with you doing so because, if they are truly sagely and of God. They should understand that in these days and time we cannot take nothing for face value. If this individual gets upset and offended, then they most likely are feeding your info to boost their Set (Ego). Understand the more you listen to your Osar, the happier and better off you will be because you are free. You know one question that I seem to always get is, “How do you know that the Spirits are real?” I understand that the reason I get this question is because most of us spend all of our childhood being taught to believe only in what we see. We go to school and we are taught to prove everything that we believe and ignore everything that does not logically add up. But, when it comes to religion we are simply taught to just believe. We are discouraged from reading the history of the religion. For a while we are discouraged from researching and investigating anything regarding religion, out of fear that we will be branded a heretic. But the calling to come into our divinity is too strong and we decide to take steps to find our true self. When we finally answer our calling and began studying spirituality, we become conscious, which makes us happy, elated, scared at times, even angry but overall, most of us content that we opened the door to our True Self. As we read and listen to lecturer after lecturer and read some more, we see that we are becoming a more aware individual. Things we used to do, we do not do any more. Music we listen to we do not listen to anymore. Even the people we used to associate with we stop associating with them because we have become conscious. Before long, we are intellectual masters able to quote and paraphrase the most distinguished authors to the most secretive sources. Our family and friends are amazed at us because we seemed to be most likely to not read any books, and here we have our own library. But, there is something that begs us to go beyond the intellectual understanding of the Spirit because there is one hurdle we have yet to cross. What lingers in many of our mind Family is the religion we were taught as a child. This lingering ideology prevents many of us from taking that last step because the last thing we want to do is believe in a “Mystery God”. You see, we have talked about ancestors and how our ancient ancestors worked with Spirits, but our Western social upbringing and indoctrinating religious experience prevents us taking this final step to working with our ancestors and Spirits. The unfortunate thing is that failure to take this final step will result in you being just an intellectual bitter conscious individual. So, hopefully my experience will help you to take this step. How did I know it was Npu talking? Because Npu is the Kemetic Elleggua, who appears at the crossroad and right at the moment before s*** pops off. If I had not listened to my Npu, there is no telling where I would be right now. The thing is that although it took me a while to recognize who my Spirits were. I went through this experience because I had to learn how to see the limitations of metaphysics. Now, I know that some people will say that Npu is Hermes and that Hermes is Thoth or Djahuti (Tehuti) but I have not found this to be the case. Djahuti is a guardian spirit of wisdom. In my experience, Djahuti does not appear to you when you are in trouble. No, you go to him when you are in trouble. 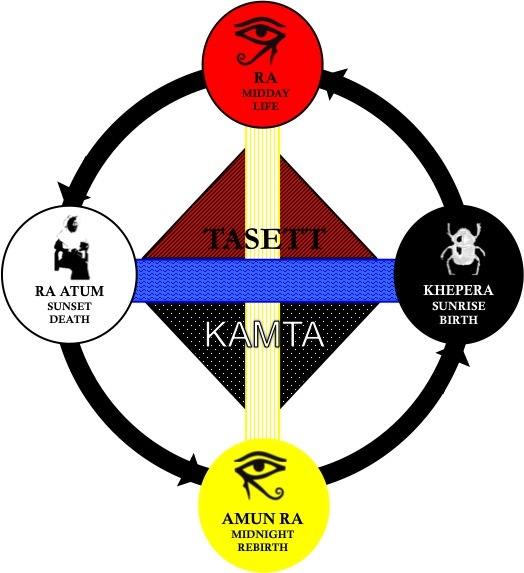 Djahuti is the Kemetic Orunmila and like most sages, when he is alone. He is pondering the mysteries of the universe. So, as to how do you know if the Spirits are real or not? Well, besides communicating to you intuitively, they also have call numerous signs that reveals that it is them. For instance, Npu’s number is 3 and one of his favorite totems are dogs. He is the guardian of the dead, so whenever my Npu is near. I usually see the number 3, three feral dogs, or things in his colors of red/black/white (sorry I cannot show my real Npu het). On a side note, Jesus ain’t never communicated to me this way. 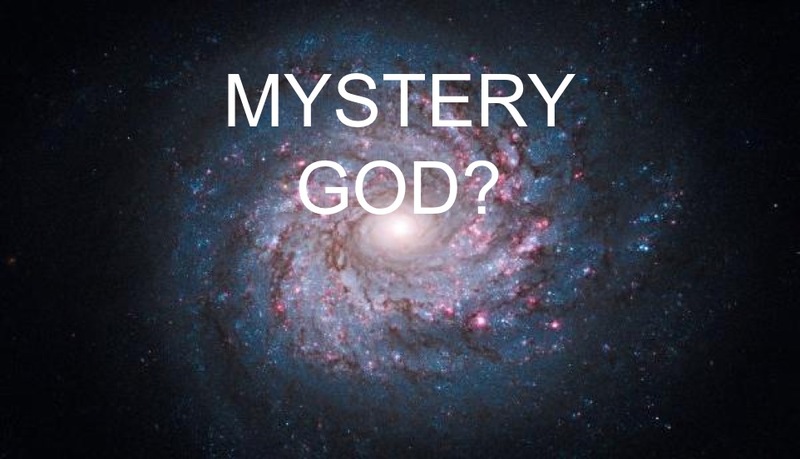 In fact, I cannot recall having any prayers answered by Jesus, which is the reason I doubt if he is real. However, Npu and the rest of the netcharu (guardian spirits) have all shown me signs that they are near, thus they are listening and that they are real. In fact, I cannot tell you all of the ways the netcharu or netchars have made themselves known but here are few examples. Oset’s (Greek Isis) sacred number is 7 and her colors are like turquoise or ocean blue. Oset is like the Kemetic Yemoja but she is not the same. To me Oset navigated the sea to find the body of Osar and this is her connection to the seas. Consequently, I placed a blue and white sailboat on her het. I remember one night I had a dream and I realized that it was Oset because she was holding a conch shell. When I purchased one of the shells and placed it on her het (spiritual house), my dreams became more lucid. As I had mentioned in Maa Aankh, I developed a rapport with Sokar when I was unable to walk. I purchased a Lazarus statue and told him I would remove his crutches if he made me walk again, and not too long afterwards, I found myself dancing, which strengthened my legs and I haven’t had a problem since. 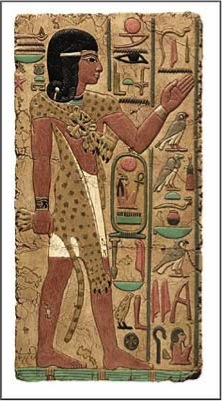 Sokar is the Kemetic Babaluaiye, who is the Lord of Illness, and whom I found is fond of dancing. Please note that I am not telling you about something I have read or something that someone told me. This is my personal experience. Yes, if we do the etymology of the word Lazarus we find that it is a corruption of the word Osiris, but none of that helped me to walk at the time. It was by working with Sokar and realizing that Sokar helps only the strong and mature that I was healed. 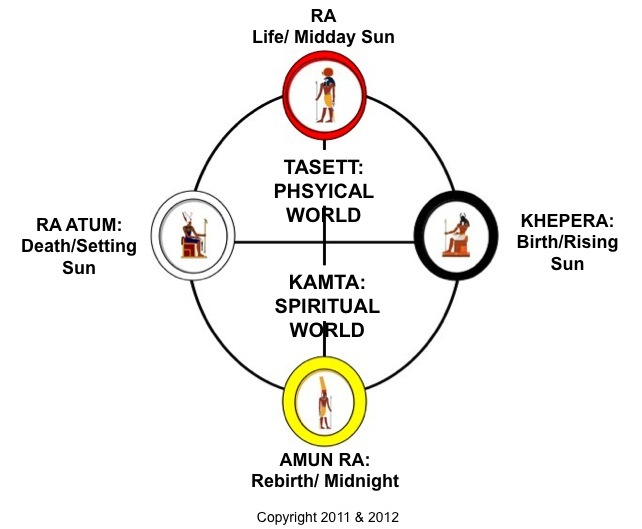 Hru Aakhuti, who is the Kemetic Ogum but whom I have found to be more like the Palo Zarabanda. Hru Aakhuti’s colors are red, purple and ocassionally green and black. Although he is also associated with Mars and Aries. My Hru Aakhuti is not the Kemetic spirit of war. In my experience, Set is the spirit that starts chaos, confusion and war. When Hru Aakhuti shows up, it is to bring whatever chaos that has been started to an end. I cannot begin to tell you how many times I have seen Hru Aakhuti show up with a bang. Let’s just say it is enough to convince me that you want to honor him and seriously try to live righteously because he punishes whomever is wrong. To me Maat is the netchart over the police and one day my ancestors suggested that I put some toy handcuffs on her het, which I did. Then, one night I was driving and I got stopped by the police. The cop told me that taillights were out. When I told him that it must have just happened because I was not aware of it. The cop offered to lead me to the nearest auto store where I got a fuse. 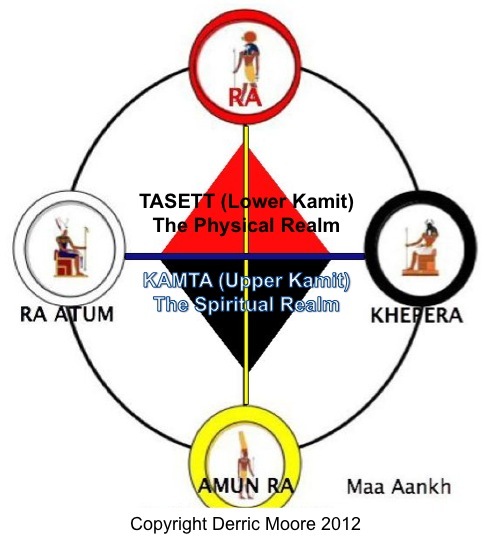 I knew that was Maat because Maat to me is the interpreter of the law at that moment. Her sacred number is the number 2. Guess how many fuses I needed? That’s right, 2. Coincidence? Maybe in the beginning but the more often these coincidences and synchronicities occur will eventually make you realize that there is something magickal to it. There are numerous stories that I can share that I could be compiled into a Pert em Hru (Book of the Dead), like Hru descending one day and diplomatic resolving an issue between two individuals ready to fight or, many other stories. The point is that all of these experiences convinced me that I am a powerful being and the enemy knows this but I would not have never realized my true potential if I had not been maa khru (born again Kemetically). Therefore, the reason you have to take this step is because all of the stuff that made you conscious will also overwhelm and depress you. When you are overwhelmed and depressed, you begin to worry and therefore, not see things clearly. This is what was allegorized in the Kemetic Story of Osar as Set gouging out Hru’s eye. Hence, the reason Hru was not able to defeat Set and every battle ended in a stalemate. The reason you have to be reborn is so that you can see things from a higher perspective and fight from a higher perspective. The most powerful way to remove religious indoctrination is through initiation, and though you are not formally being initiated. The maa kheru process is an informal initiation that works because it presents you with Maa (Divine Truths). For instance, I was looking at something and saw this “conscious” brother talking all of this science about religion. I mean Brah was dropping some heavy stuff but right after that I saw him taking a selfie with this half-dressed girl who was wearing a tightest skirt ever. I almost came out and blasted ole’ boy as being a hypocrite until my ancestors stopped me and made me look again. I almost forgot, Npu loves women. Like I said, he stays in the mix of it all. This brother was channeling Npu, who draws your attention to simple things in order for you to focus on real issues. So this brother taking a selfie with this “sleep” female was Npu’s way of getting her and others to wake up. There is only so far your intellect can take you. The rest of they way, you will have to follow your Osar.